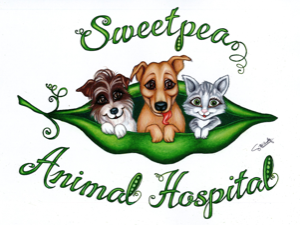 After many years helping charities around the world care for sick and injured animals, the good folks at Sweet Pea Animal Hospital built a brand new veterinary hospital of their own in Forster, central coast New South Wales. 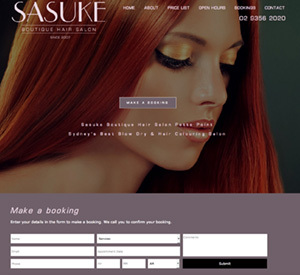 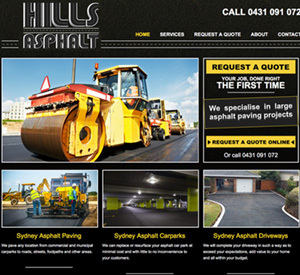 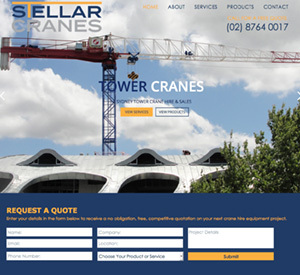 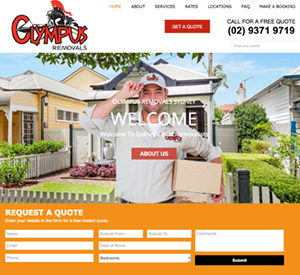 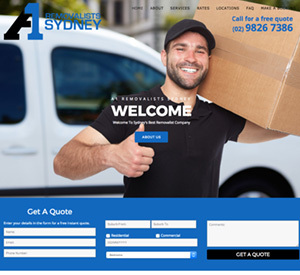 Their new website allows the busy owners to make updates easily and effortlessly and is flexible enough to adapt and change as their business grows. 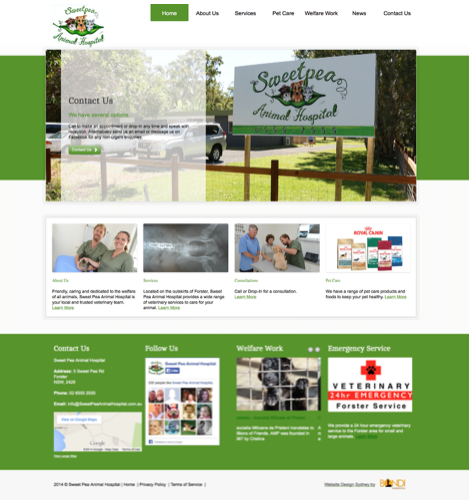 With all of the important information you would expect from a veterinary website design, this one also includes with some unique extras such as an image gallery to highlight the owners previous welfare work and a blog for keeping locals updated on the news and events happening at the hospital. 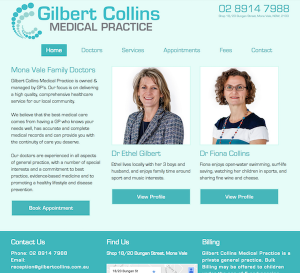 Contact Us for a FREE 30 minute consultation to discuss how a new vet website can vastly improve your brand and sales today.